Also, be sure to check out the offerings of NMBio’s own service providers, LikardiaBio –http://www.likardabio.coLim/company/our-approach/ — and the DMVG Technology — www.dmvg.tech. We’ll have several new additions to our own list by Labor Day. Please keep in mind that placing business with any of these companies saves you more than money. Your purchases are also helping to support the association and its expanding list of activities and goals. 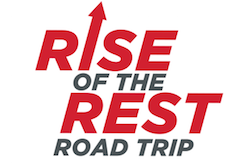 Albuquerque’s budding entrepreneurs will have the opportunity to personally showcase their business ideas to Steve Case, AOL Co-founder, mentor and entrepreneur extraordinaire when his nationally recognized Rise of the Rest Tour comes to the city on October 6. Case’s bus tour, which has previously visited 19 cities and logged more than 4,000 miles east of the Mississippi, is making its first swing through the Southwest. Other Southwest cities on the tour include Phoenix, Denver and Salt Lake as well as Omaha. At each stop Case, the Revolution Team, and their partners host a pitch competition pitting the best startups in each city against one another for a chance to win $100,000. Partners include Village Capital, Google for Entrepreneurs, Salesforce for Startups, Economic Innovation Group Inc., Engine and Tech Co.
Case has invested $2 million in selected startups since the inception of the tour in 2014. President Obama, business leaders and mayors across the country have praised Case and the initiative. 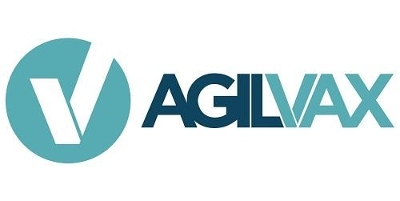 Agilvax (www.agilvax.com) is a biotechnology company that is developing targeted vaccines and cancer stem cell immunotherapies based on a proprietary virus-like particle (VLP) platform technology. The technology integrates epitope identification and immunogenic presentation in a single platform. Founded in 2011, the company has its headquarters in Albuquerque and offices in El Paso, TX. Federica also announced the addition of a prestigious board member — Dr. Brad H. Vale, Ph.D., DVM. He is the Founder and Chief Executive Officer of Calaveras Creek Capital since 2015. His investment focus has been on biotech and medical device companies. Dr. Vale served as the Head of Johnson & Johnson Development Corporation – JJDC, Inc. from 2012 to 2015. 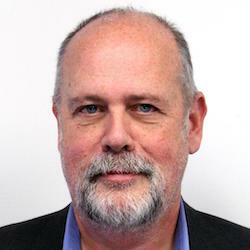 He joined Johnson & Johnson in 1992 and in July 1997 moved to California to establish its Silicon Valley office and has invested in over 30 companies for JJDC, including five that were ultimately acquired by various J&J subsidiaries. RESI will return to Boston for its10th RESI Conference. Life Science Nation will be hosting the RESI Boston conference in collaboration with Johnson & Johnson Innovation, JLABS on September 13th, 2016. The Pharma Partners (TPP) Healthcare is a boutique advisory firm specializing in deal flows that connect healthcare and life sciences companies with Chinese investment, manufacturing and distribution groups. It will host a delegation of Chinese medical device, pharmaceutical and investment firms seeking strategic partnerships within innovative healthcare technologies. Attendees at the Minneapolis conference will have the opportunity to understand the complexities of the Chinese healthcare market through a combination of company presentations, educational panels and 1-on-1 meetings. 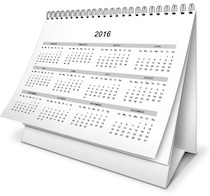 There is no additional fee to participate in the China Partnering Forum for full-access attendees of AdvaMed 2016. 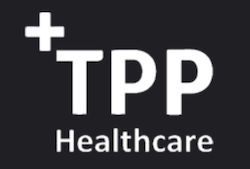 TPP Healthcare delegations include the largest Chinese healthcare companies like SinoPharm, Tasly Holdings, Wuxi AppTec and Fosun Pharma, as well as large investment institutions including Legend Capital, Orbimed and YunFeng Capital. For additional information or to learn how to participate in the China Partnering Forum, please contact Derrick Li at Derrick@ThePharmaPartners.com. Prevent disease and improve health. Your chance to socialize and share holiday greetings with NMBio’s board members, your life science colleagues and business professionals will take place from 5:30 to 7:30 pm on December 8. While we’re scouting several locales for the event, you have time to nominate your favorite spot for food and atmosphere. We’re also seeking a few sponsors to help cover the association’s costs. If interested, please contact me asap. Thank you. In the meantime, best wishes for a productive, safe and healthy summer.